Just because you have been arrested for and charged with drunk driving does not automatically mean that you are guilty. There may be several defense options available in your case. It is critical to work with an attorney who has specific experience handling DUI cases. I am Schöen Parnell, an attorney serving clients in Snohomish and King counties who can help you challenge a DUI stop and fight a DUI arrest. To find out specifically how I can help you, contact my law offices to schedule a free consultation. Challenging Breathalyzer tests: If a Breathalyzer test was administered, did the police officer use the machine correctly? Was it properly calibrated? Additionally, recent problems with implied consent laws may affect how your case is ultimately resolved. Challenging field sobriety tests: If field sobriety tests were administered, what factors may have caused you to perform poorly? Nerves, medication, tiredness, and other factors may have affected your behavior. 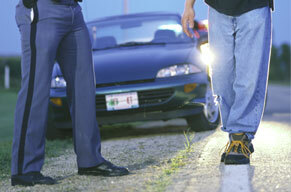 Field sobriety tests, in and of themselves, are designed to make you look uncoordinated. What looks like intoxication to a police office may actually be the result of clumsiness or nervousness. Challenging the DUI stop/probable cause: Did the police officer have probable cause to pull your vehicle over? Were you violating a traffic law? Your defense will vary depending on a number of factors. Whether you are facing DUI charges for the first time, if you are a repeat offender, or if you are an under 21 driver looking for legal help, I will closely review the details of your case to come up with a solid defense strategy.